Garrett Leight Garfield - Pewter / Shadow + Clip (Eye) Need Help? The GLCO Garfield is a classic squared style. The unisex design features detailed metal filigree, acetate temples, and great proportions. 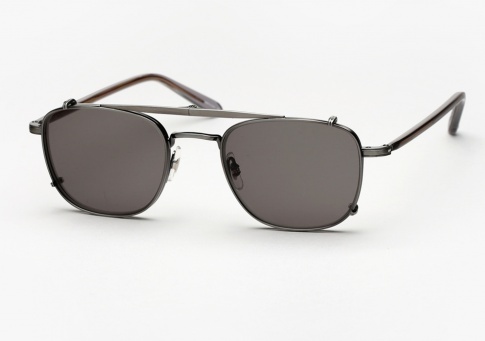 It is offered here with a Pewter front paired with "Shadow" temple, complemented by a Pewter clip with grey lenses).